This is a bit of a deviation from the usual bread, but since coming home from Paris, I haven’t had the time or enthusiasm for making regular bread. When we get back to Texas things will be more normal. However, I have been very excited about trying to make authentic Parisian macarons, which I tasted for the first time in Paris. These gorgeous, multi-colored little cookies are basically a chocolate ganache or other filling sandwiched between two baked meringues mixed with ground-up almonds. 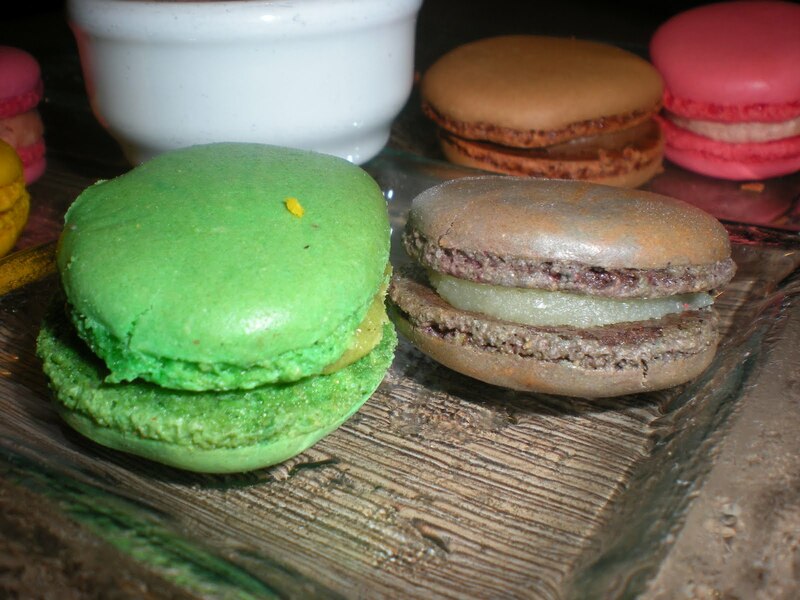 For more about macarons, check out Joe Pastry’s blog: http://joepastry.com/index.php?cat=171. 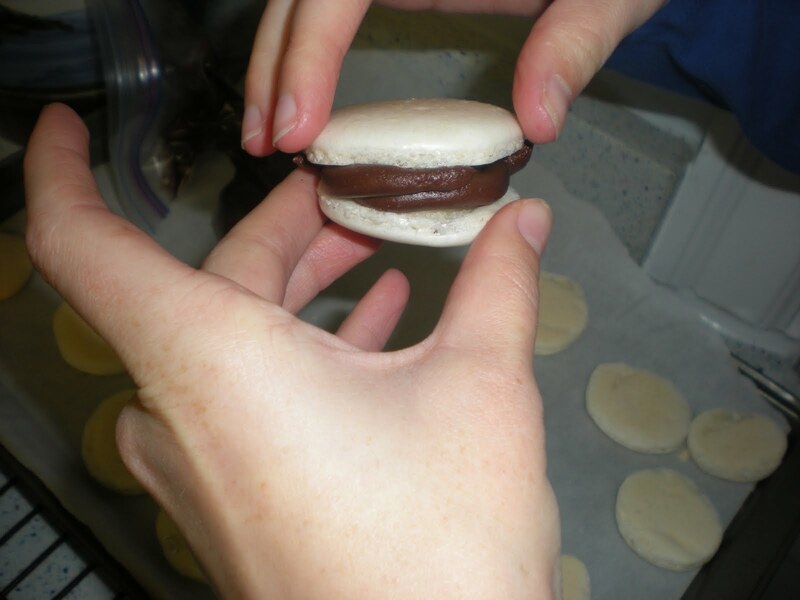 I have found him to be very helpful and he includes a breakdown of macarons, a section on troubleshooting, and the differences between macarons and macaroons, which are two very different things. 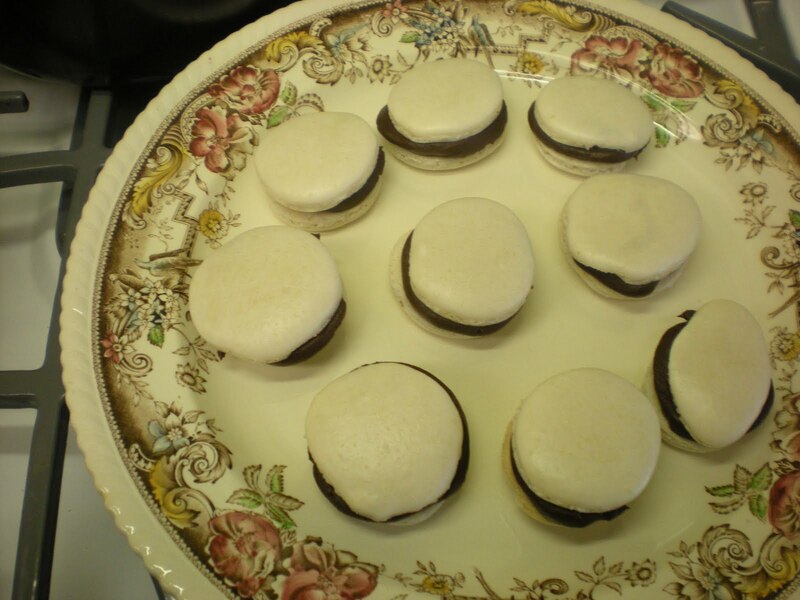 In sum, the recipe for the meringues comes from Joe Pastry but the ganache is my sister-in-law’s (Mr. Bread Maiden’s sister). Since the recipe isn’t mine, and I don’t make any changes to it, you will have to go to Joe’s site to get it. Ready? Here we go. 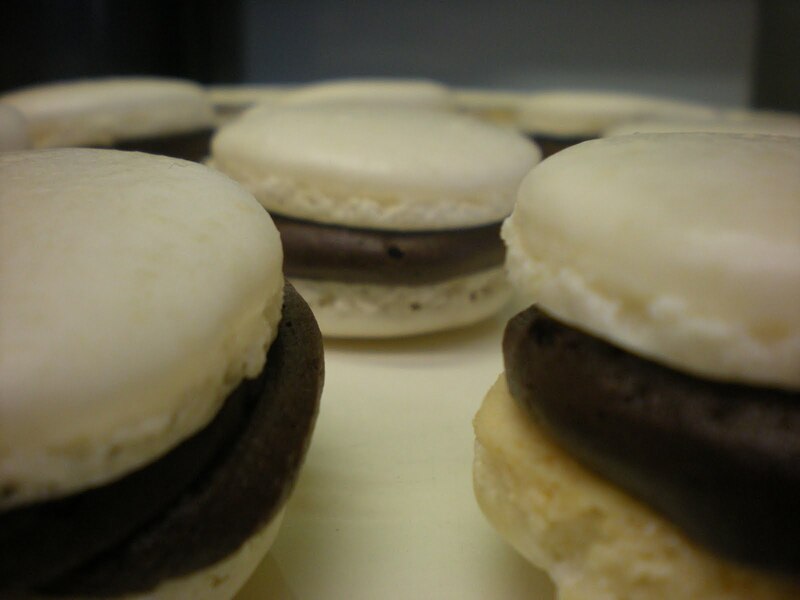 To make these, I had the assistance of my sister-in-law, Slow Learner’s daughter (I think she was dubbed Fast Learner a few posts ago), who is a pastry prodigy and who saved the macarons from a dumb mistake on my part. 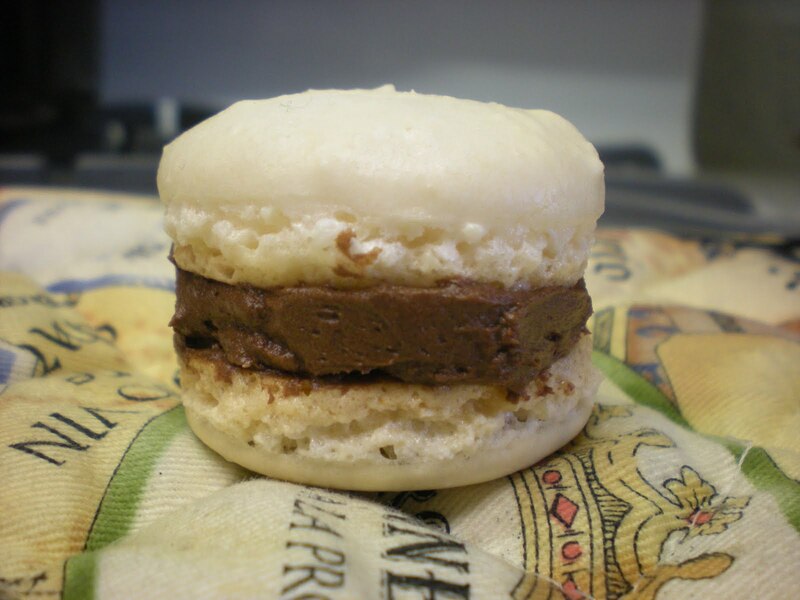 She also made the ganache with her prowess and I bow down to her in basically all things pastry and cookie. Also she took the pictures. 1. Mix slivered almonds and powdered sugar together in a food processor. 2. Put your egg whites into the bowl of a stand mixer and whisk until you get soft peaks. Add the granulated sugar and continue whisking until stiff peaks form. 3. In the bowl of the stand mixer, use a spatula and fold the ground almonds and meringue together. 4. 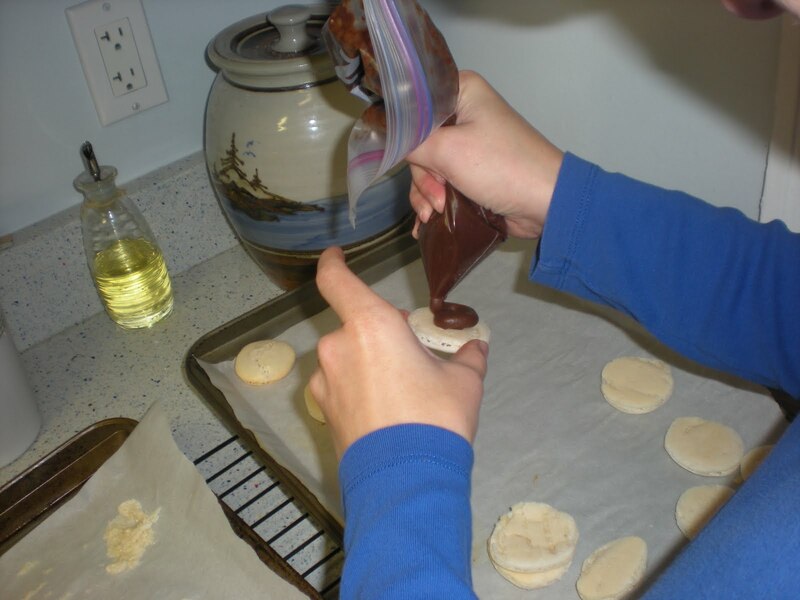 Use a cookie scoop or pastry bag to distribute mixture on a cookie sheet covered with parchment paper. 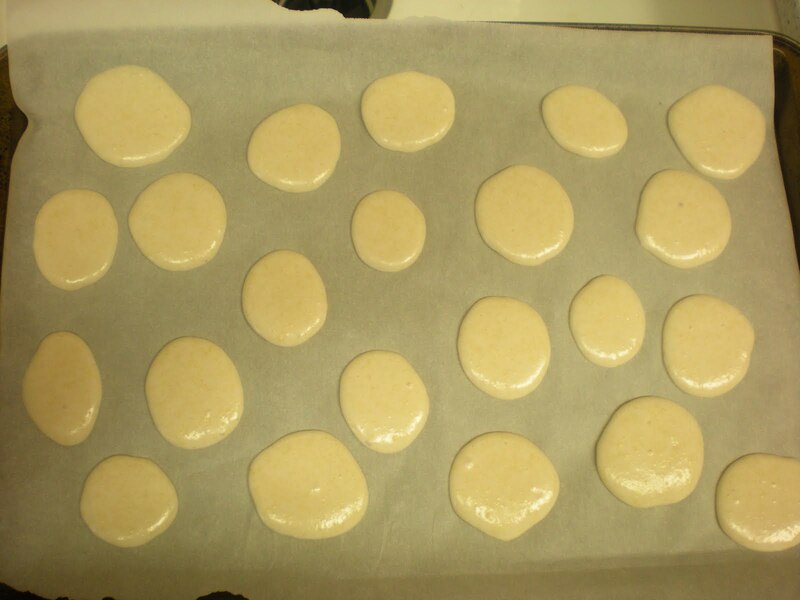 Using Joe Pastry’s recipe I had enough batter for three cookie sheets. Let these sit for 45 minutes to an hour uncovered. The trick to getting the airy “feet” is you want the meringue to dry out and a small crust to form so the air is trapped and has to shoot out underneath. 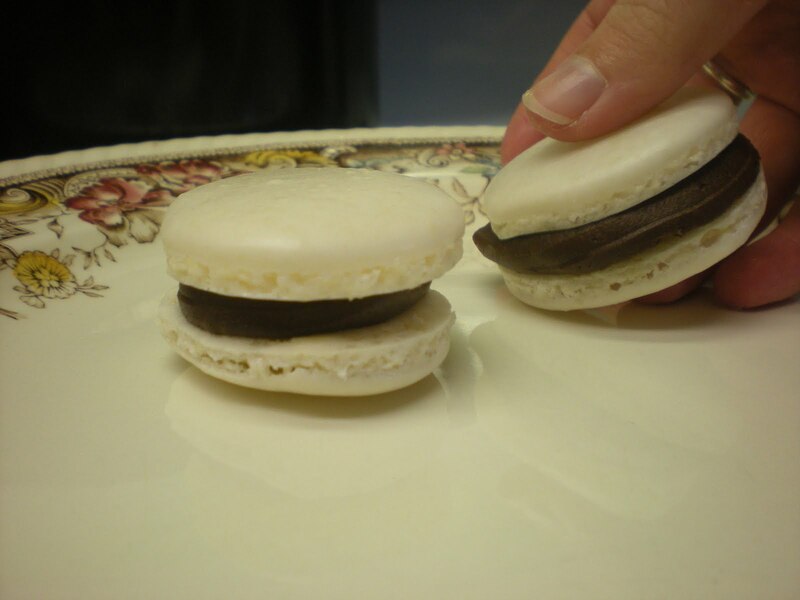 This gives the macaron its traditional and much-sought-after shape. 5. Preheat the oven to 300 degrees and place trays in the lower-middle of the oven for 10-12 minutes, then take them out and let them cool for at least 30 minutes. It’s really exciting to watch the feet form, because then you know you did it right! 6. 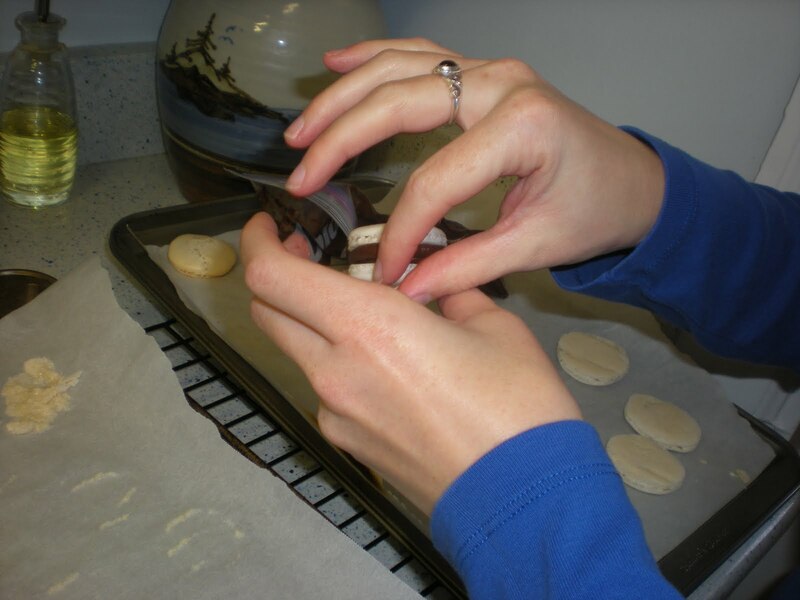 CAREFULLY remove the meringues from the parchment and let them sit while you make the ganache. Put the ganache in a pastry bag and pipe out on the bottom of one meringue. 7. Place another meringue on top, being careful not to press it down, even though you’ll want to. The meringues are so delicate you will crush them if you try to exert pressure. 8. 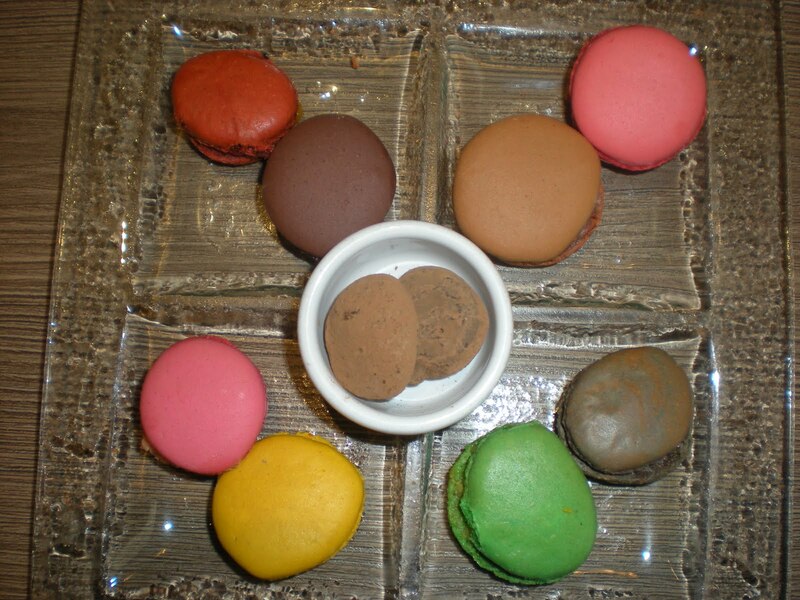 Admire how gorgeous YOUR macarons look! Now eat! Or save them and bring them to the Boeuf Bourguignon dinner you have planned for your parents and in-laws. 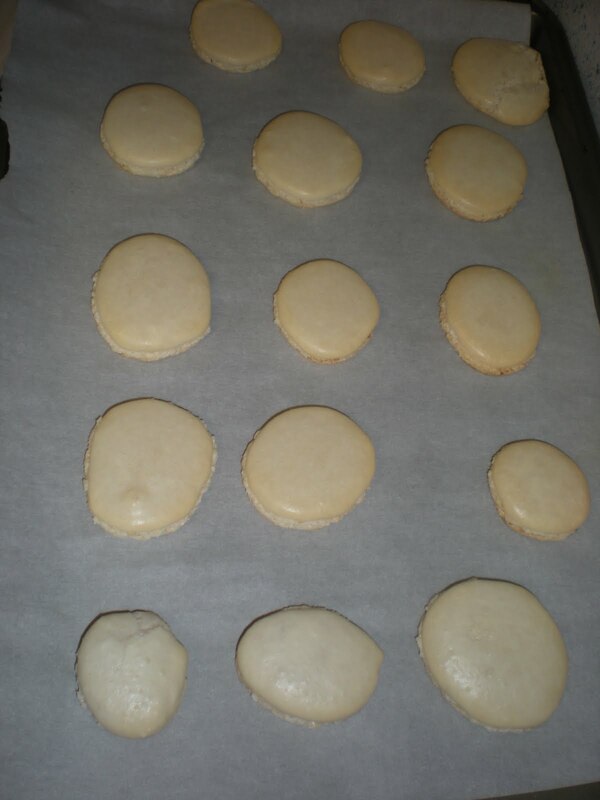 We found that the macarons stiffen up a little bit if you leave them in a cool place for a few hours (it doesn’t have to be the fridge; think a cold room in the house where they will be unbothered). In any case, these are so yummy and not really that hard to make, although they do dirty up both the food processor and the stand mixer. 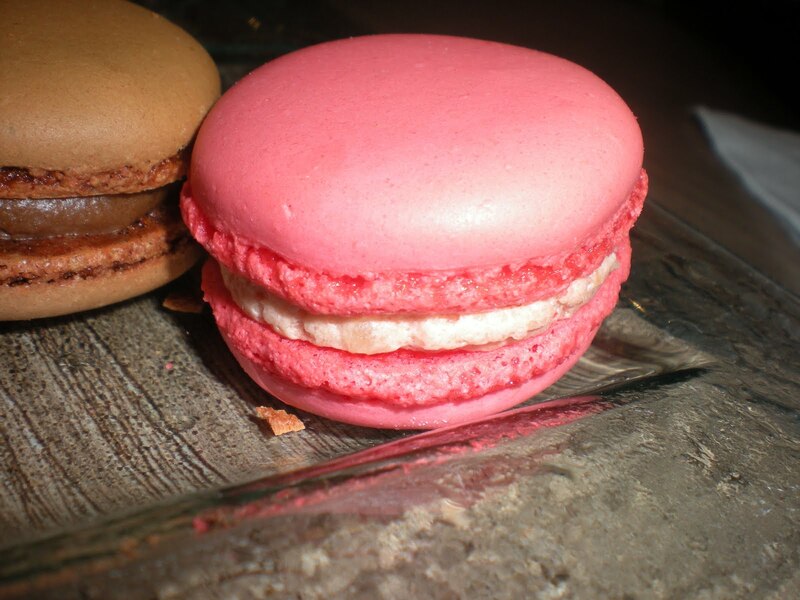 But such sacrifices are small compared to the deliciousness of homemade macarons.